​​​​​​​Chadar Trek is the celebrity amongst all the other Himalayan treks and one of the most sought after Himalayan adventure. 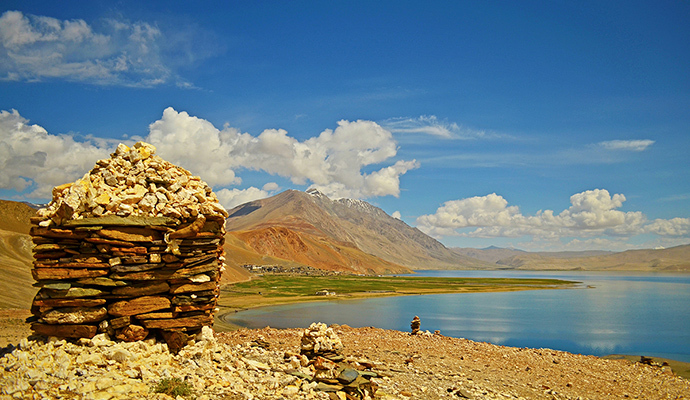 It’s one of the most popular treks in the Ladakh Himalayan region. 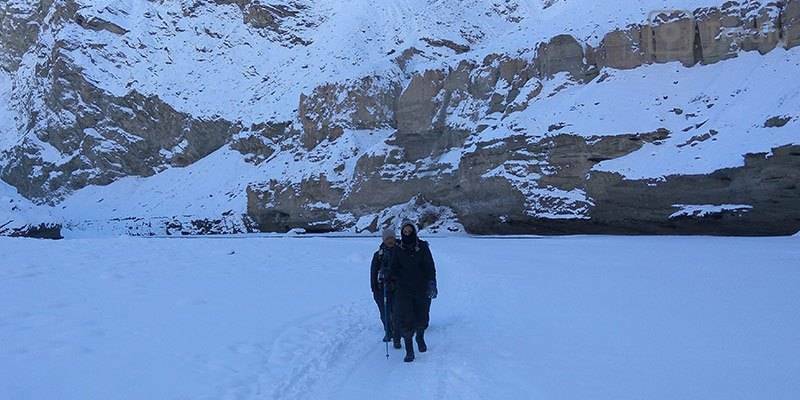 In this guide to Frozen River Chadar Trek, you will find detailed answers to your most common doubts and help on planning perfect Chadar trek trip. During winter Zanskar River, the north flowing tributary of Indus freezes over. The Zanskar River which is furious during other seasons will bend its knees during the winter. It will become a sheet of white Ice on which you can walk on. And that’s when the locals call it ‘Chadar’. For the local people chadar is the only way through which they can reach Leh. All the other usual paths will be covered in foots of snow which makes it almost impossible to tread. During the trek the temperatures will be -15 to -20 degrees during day and take a nose dive to -25 to -30 degrees at night. Chaddar gives you a window of barely a month to walk over it. This one month window is the only time when Chadar trek is possible. 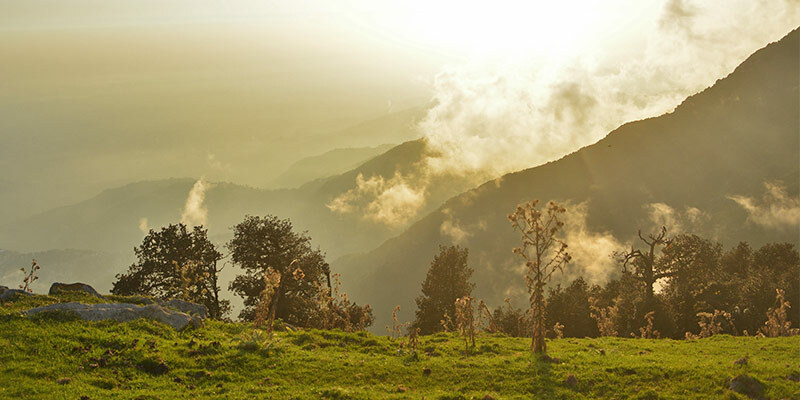 During this time trek enthusiasts from across the world comes here to experience the trek which disappears when the sun comes up. Frozen waterfalls and squeaking glass like ice under your feet with white snow surrounding you is an experience which can’t be erased even with time. Chadar Trek is a moderately difficult trek. You don’t have to climb high altitudes in this trek but it is important that you prepare well and go for this one highly prepared. Max Altitude: 11,123 Ft. or 3500 Mts. Chadar trek is possible only during peak winter. That’s when the liquid Zanskar River becomes solid. The window of the trek starts when the ice is thick enough to walk on. This may vary from year to year. Usually this happens after 2nd week of January and up to mid February. Once chadar starts melting, its not safe to traverse anymore and its time for closing the route. Check Trodly to get the exact dates for the current year. 3) How difficult is Chadar Trek? Chaddar trek is considered as a moderately hard trek in difficulty. But it’s not something a first timer cannot endure. However, you should be ready to face temperatures of -15 to -20 degrees during the day and at night it might hit -30. 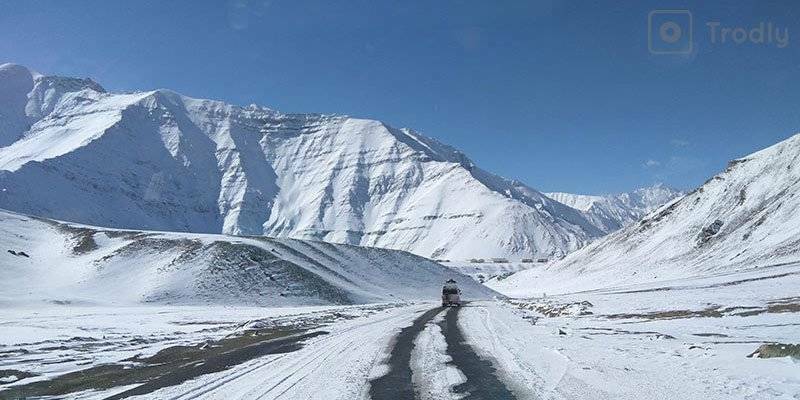 This kind of low temperature during the day is not common even at altitudes higher than 15000 ft and Chadar is not that high. You will have to walk for more than 15 km per day on the trail under the bone freezing temperature. At many places during the trek you will encounter frozen waterfall which look surreal giving you excellent opportunity to take pictures for friends back home to look at in amazement. For some places where the ice over the river is not fully formed you might have to take the steep slopes of the surrounding hills. Other than that you will be walking over the flat frozen river for most of the time. The will power to negotiate low temperature and walking all those distances is what really matters. All in all Chadar is pretty doable for most folks and also strong beginners. It is not really dangerous, cold is the biggest concern for most people. Chadar is mostly walking on flat river, you don’t have to climb so often like in a mountain trek. But at times there will be boulders and short steep mountain slopes which you have to negotiate. High physical agility is not required but people who are regulars in good physical exercise tend to be more comfortable during treks like these. So you should train yourself with exercise which will improve your stamina some time before the commencement of the trek. People with heart conditions should avoid this trek. Other than this regardless of the experience every trekker should consult their physician before going for this trek. If there are any medications prescribed, always carry them with you and don’t be reluctant to have it at time. 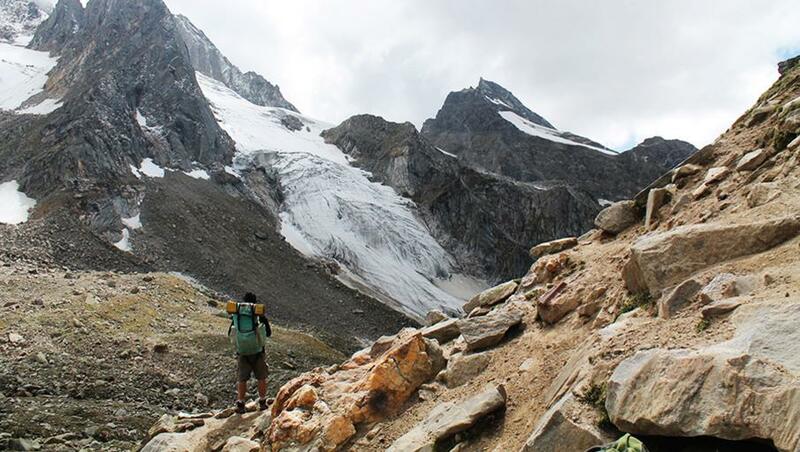 Don’t put yours and others trekking experience at risk due to negligence. Now a days this is the most common itinerary followed by most operators. 2 Days for acclimatization are there, including the day you arrive in Leh. The trek starts from Shingra Koma. You cover Tsomo Paldar, Tibb Cave and Naerak Pullu. 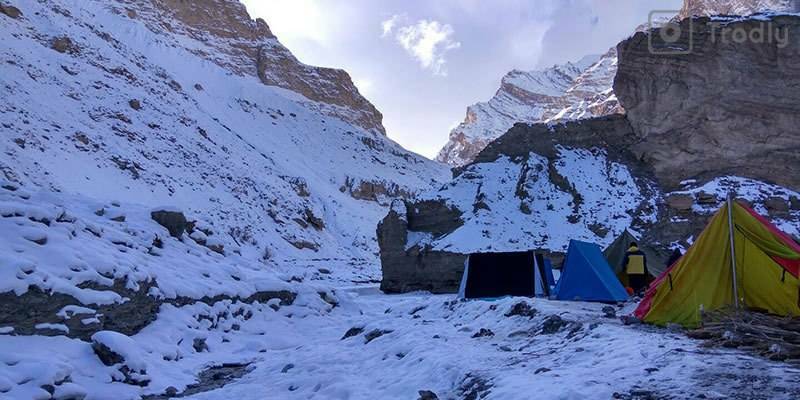 Naerak campsite is as far as you go on Chadar on this trek. This trek itinerary is almost same as the 9 day one only addition is that this option takes you to Lingshed as well on the 7th Day. Lingshed village is quite isolated and this place is home to a 1000 year old monastery. This is recommended for participant with good prior trekking experience and those looking for extra adventure and zest to explore further. Well strictly speaking the classic Chaadar journey through out the history lasted for weeks but in terms of modern day trek the original Chaadar trek lasted about 15 days and route taken used be quite different. The places covered on itinerary used to be Tilad Dho, Gyalpo, Dib Cave, Nyerak, Dib Gongma, Pidmo, Padum, Kilima, Lingshed Dho and Chilling. If you have that time to spend and have prior trekking experience then this is the real deal. This route allows you to travel deeper in the Zanskar valley giving you an unsurpassed experience among the beauty of the region. This itinerary is result of mindless commercialization of the Chaddar trek and not recommended at all for the participants. This itinerary lacks proper acclimatization as well. You do get to see Chaddar and walk on it. Places covered include Tilat Do and Shingra. Latest Update: Better sense has prevailed and 5 Day Chaddar trek is not operational as per notification by ALTOA. The dietary needs of the trekkers are properly taken care of. Due to the high requirement of stamina and energy, it will be a balanced diet of protein and calories. Well cooked vegetables and egg will be prepared and served at regular intervals. To avoid any sort of food poisoning, hygiene is always kept in mind while cooking. The water from the Himalayan streams is as pure and natural as it gets. Follow your guides’ instruction while refilling. If a pure water stream is not found then the water will be boiled with chlorine pills by the cooks for you. While you are at the mainland accommodation will be arranged at good hotels. During the trek tents will be set up on safe locations on land. If there are any caves available and if they are safe the camp will be set up in those caves. It will be cold inside the tent too. You have to carry a sleeping bag with you and should not take off too much clothing while you are in the tent. On every trek it is difficult to keep up with basic sanitary needs. Most of the treks are cut across dense forests and steep mountains. Therefore it is necessary to adapt to the natural surroundings. The Chadar trek, like any other trek also requires the trekkers to adapt and adjust to the conditions and circumstances. When one treks with some trekking groups, they provide a toilet tent. It is a tent set up as a makeshift toilet, where a deep pit is dug up for trekkers to use. This is a safe and sustainable solution to the problem. After each person has used it they have to cover it up with mud. This makes it usable for the next person. Sometime there is also a second option available wherein there is a flush system that allows the person to flush their waste into a nearby stream. It is difficult to manage and can be challenging but most people get used to the circumstances within a couple of days. It can be difficult for first timers to adjust to the ways of trekking and camping, but it is a experience in itself. These toilets are hygienic and make for a convenient means in the middle of nowhere. Your guide and the assistance will be equipped with necessary items like kitchen and dining tents, kitchen equipment, stools, tables and mattresses and food (vegetarian and non-vegetarian items). Apart from this you will have to carry with you a medium sized day pack with plastic liner, trekking boots, stream crossing sandals, water bottles, fleece jackets, rain proof jackets, insulating gloves, sunscreen and lip salve, sunglasses, water purification pills, personal medications (if any), emergency first aid kits, toilet paper, hand sanitizers, emergency food items such as chocolate bars, mouth wash etc. Your duffel bag can carry your sleeping bag, your complete set of spare clothing, long and regular underwear, inner and outer socks, a pair of fleece sweaters, insulating hats, a pair of running shoes, your toilet kit, your toothbrush, soap, towel etc. 10) What to Wear during Chadar Trek? Layering is the key while trekking in the high altitudes with sub zero temperatures. Always carry with you multiple numbers of sweaters and full sleeved T- Shirts. Wear them according to your susceptibility to cold. If you wear only a big and thick jacket, since you are walking, you will become too hot when you wear them and too cold when you take it off. So wear more than one layer of clothing beneath your fleece jacket. Carry a windcheater too, there will be speedy winds. Wearing in layers will make adapting to cold easily. Just like the Jackets, difference between having the right shoes and the wrong ones will be a huge one during treks like Chaadar. The Chaadar trek involves overcoming icy sheets, frozen lakes, and a carpet of snow. Gumboots are the ideal shoes for the trek during the wetter areas. The gumboots need to be at least ankle length, preferably knee length, and well insulated. They can also be layered by wearing thick woollen socks with them to improve the insulation. Crampons and other traction devices can be attached to the bottom of the boots, although walking in them all day can get extremely tiring. Spikes are also an option however they may break open the surface where the ice is thin. While high ankles trekking shoes will also pass Gumboots are more preferable during the Chaadar Trek. Over and above the gumboots, it’s a good idea to carry one more pair of cushioned, ankle-protected shoes (preferably waterproof). In case the gumboots get soaked, this pair serves as back up. They can also be worn in the drier areas as wearing gumboots for long periods of time do get rather painful. 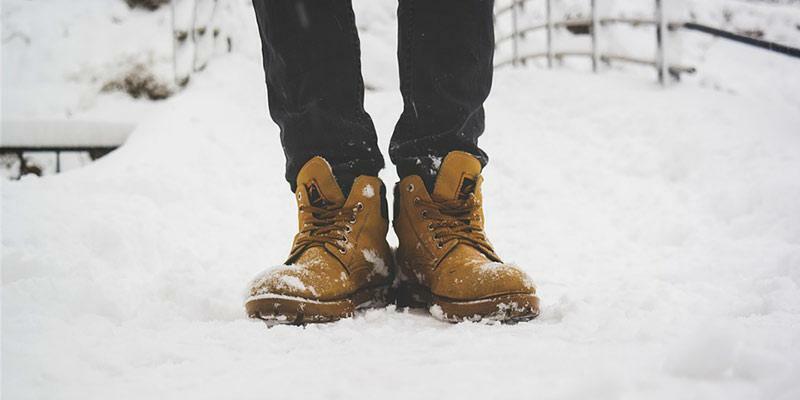 Make sure your boots are of high quality and there are no signs of wear and tear. Attach micro spikes to it to give you more traction while walking on the smooth icy surface. 12) Where to Buy Trekking Gear for Chadar Trek? If you are an ardent trekker then its better if you buy all this but if you don’t or if you find yourself missing any of these especially clothing then you can easily rent it out from the Leh markets itself. The Leh market has a bazaar called the Moti Bazaar which has a plethora of shops that will rent out winter clothes. In these flea markets one can rent out a down feather jacket in a 500-800 INR range. On returning these jackets, trekkers usually get 200-300 INR back. Therefore the deposit for these jackets come up to 800 INR and the rent comes up to 500 INR. These are the usual rates so make sure to bargain and beware of the tricksters. You can also find Gumboots from these markets. For the boots rent will be somewhere around 300 to 400. We however recommend you get most of your dress items and especially boots from Delhi or your hometown to avoid any last minute issues. You have 15 to 17 Km per day to finish the trek within 6 days. But don’t go for something which finishes sooner. Your trek should be perfectly balanced. Your guide will let you take pit stops at regular intervals so that you can finish the trek comfortably. Before starting the trek you have to get at least 48 hours of acclimatization. Acclimatization is important because you need to get adapted to high altitude and low temperature. Your journey will start from Leh. Till the Chadar starting point you will transported on vehicles. During the actual trek there will be porters who will be carrying the lion share of your luggage. However you will have to pay extra other than your total booking fees to avail this service. 15) How to avoid AMS during Chadar Trek? The key to avoid AMS is to acknowledge dehydration as soon as you can. Symptoms of AMS start with a dry lips and tongue. Make sure you take a sip of water in regular intervals. You should also have dry fruits, nuts and energy bars handy so that you can take a bite once in a while. Having a diamox will also help you ease altitude sickness but consult your physician before taking any such medications. Our first priority is to keep you safe all the time. But in case of an emergency your guide is equipped to give you first aid. Even after that if you need further medical attention your guide will take you to safety as soon as possible. Just make sure you follow your guides’ instructions to the letter all the time. Q1) What are things to consider before booking Chadar Trek? This Frozen River Trek is one of the most difficult treks in India primarily due to cold conditions, but with a view that’s most definitely worth it. A few things to consider before booking the trek are the location, trek conditions, fitness required and the season. 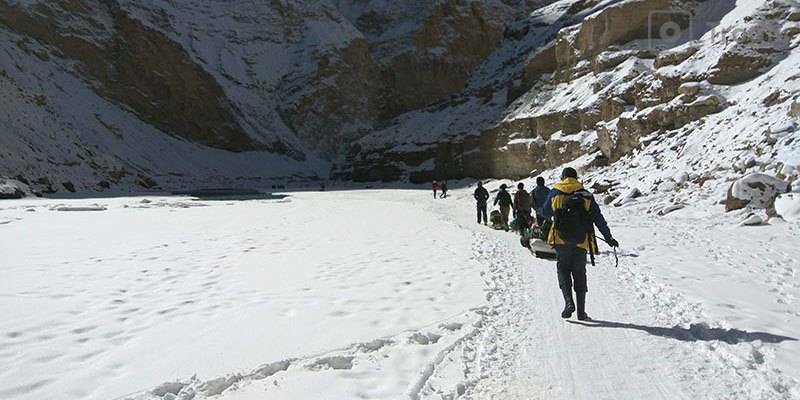 The Chadar Frozen River Trek involves trekking along the frozen Zanskar River in Ladakh. It is a lengthy 75 km so trekkers will be required to cover approximately 12 km a day to make good time. A high amount of stamina and fitness is required for the Frozen River trek since the terrain involves hiking over icy boulders and sheets of ice – a difficult feat for even the most experienced trekkers. 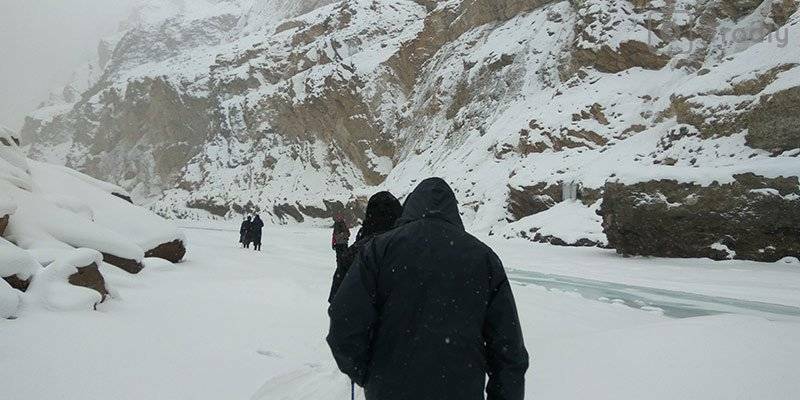 Since the trek is over the Zanskar River, it needs to be optimally frozen. Therefore, the most preferred time to cross the ice would be in the winter – the months of January and February. During that time, the ice is at its most stable state. Due to the location and the season that is best to embark upon this trek, the temperature is -15 to -20 degrees in the daytime, dipping to -25 degrees during the night. Therefore, this trek isn’t one for the fainthearted or travellers with a time crunch. Q2) Is it possible to do Chadar Trek without any group or operator? The Chadar trek does get rather difficult and although one can probably go without a group, it’s would be a logistic challenge to plan everything. Aside from the fact that trekking groups make you interact with like-minded individuals from all walks of life and help forge some amazing relationships, going without a group may end up being exponentially more expensive. This is because the trek operators have economies of scale on their side leading to overall cost much lesser than it would be otherwise. Without a group, you will have to manage porters, mules, and other necessary equipment. Irrespective of whether you trek with a group, an experienced guide is a must. This is because they are experts in the area and will be able to tell you where to step, where the ice is thick, where the ice is thin, and which caves can be slept in for the night. Their advice could be the difference between an amazing experience and a total disaster. In conclusion, going with a group is recommended for a better experience and for a happier wallet. However, whether you go with a group or not an experienced guide is a requirement. Q3) What is the cost breakup for an all inclusive price for Chadar trek? The average cost for the Chadar trek is 25,000 rupees. This would usually include: accommodation for camping during the trek and stay at a Leh guest house when in Leh, trekking equipment (Tent, Sleeping bag with Inner, Mattress, Dinning Tent, Toilet Tent, etc), first aid medical kits, stretcher and oxygen cylinder, meals during the trek, professional trek Leader, guide and Support staff, transport from Leh hotel to road head and return. Q4) Can I go to Chaddar Trek without having any trekking experience? The Chaddar trek is extremely challenging. The terrain is tricky and having trekking experience would provide a lot of advantage. With a high level of fitness and stamina but no trekking experience, one could probably attempt the trek but it depends entirely on the individual’s mental and physical state. If one has no trekking experience and chooses the Chaddar trek as their maiden trek, plenty of mental and physical training to be able to endure the trek conditions. Breathing techniques will have to be practiced plenty so it becomes second nature during the trek. Therefore, although the Chaddar trek can be your first trek, experience is always helpful as it helps you realize your true potential in uncontrollable circumstances (e.g. stamina, required food intake, your body’s ability to bear the cold). Q5) Why to choose Trodly for your Chadar Trek experience? At Trodly we believe in genuine pricing which means you can be sure you are not being charged exorbitantly. We have clear 2 options available for you to book one is all inclusive package which includes all permits and airport pick-up/drops while the other is without these add-ons. So in both the cases there are no hidden charges for you. Apart from pricing Trodly’s Ground partner has over 5 years of operating Chadar trek which means the whole crew consists of Ladakkis and Zanskaris with over 5 years of Chadar Trek experience. An advantage of doing so is that you may be working directly with experienced local village guides who are capable and know the region like the back of their hand. This may prove advantageous as it benefits the local people and is a step towards sustainable tourism. Q6) What is the toilet facility during the Chadar trek? Toilet usually includes bathing and using the restroom. The former usually doesn’t happen because of the extremely low temperature and the limited resources. The sub-zero temperatures prevent bacteria from growing on your body but clothes can be changed to maintain personal hygiene. With regards to urinating and passing waste, it is the practice in the trekking community to organise for a “toilet tent”. These small tents cover a deep pit dug in the ground, over which one squats and proceeds with their business. When done, it must be covered with mud. Sometimes there are more permanent facilities where the waste is flushed into a nearby stream. Q7) Where do you get jackets and other warm clothes on rent in Leh market for Chadar trek? Leh market has plenty of equipment sops that are willing to rent out trekking equipment and warm clothes for you to wear on the frozen river trek. These are usually locally owned and run with a wide range of merchandise and decent prices. The market is accessible and only 2 kms away from an ATM. Moti market is open throughout the year – even in the winter. Due to the high competition, the rental prices are extremely reasonable but the deposits are usually slightly steep. Gumboots can be found for 400 rupees, down feather jackets for 50-800 rupees. Try to go shopping with a local that you know (e.g. tour guide or hotel owner) who can haggle your deposit down substantially. Do keep in mind that you will be layering your clothes to keep warm during the trek so rent jackets that are 1-2 sizes larger than yours. This method of dressing also takes care of any hygiene concerns you may have about the rented clothing. 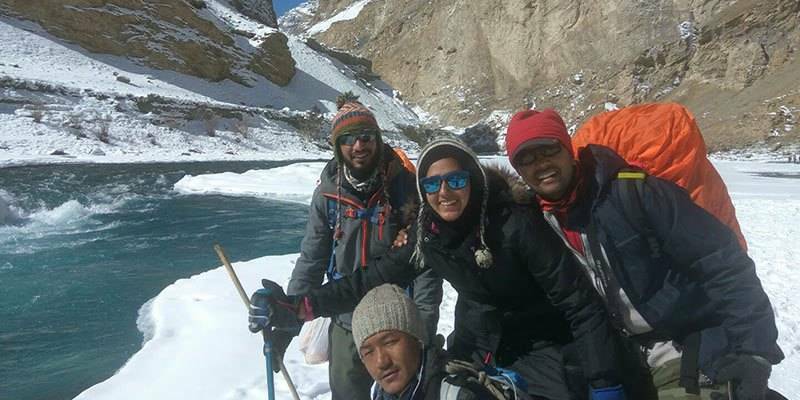 Q8) Is it possible to book Chadar trek on the spot with local agencies in Leh? No, it is not possible to book the Chadar trek on the spot in Leh as there are limited permits issued by government every year and they get sold-out by December mostly. Also booking last minute may prove to become significantly more costly than booking in advance. It also means that there has been less planning on your end which may hamper your experience in some way. It must be kept in mind that emergency evacuation in this area is extremely limited. Q9) Which mobile network has coverage for Chadar trek? Mobile network is only available in Leh. BSNL, MTNL and Airtel work best by providing both network and data, however Aircel also does get connectivity to make calls. On top of that, only post-paid mobile connections from these operators get mobile network. Internet and email services are available in Leh only. Telephone facilities are available in Leh with a call rate of Rs. 2-5/minute at the phone booths. During the trek, a most of areas will have no network irrespective of the mobile operator that you’re using. In fact, once you exit Leh, it’s highly unlikely you’ll get any sort of network. Each village does have a satellite phone installed which you can use (for a minimal charge) but connectivity is unreliable. Q10) What are the essential things for the trek? A sturdy, large and waterproof day pack is essential. A woollen head-scarf or muffler. NOTE: Do not carry anything disposable if it’s not biodegradable. Once you’ve packed, it should come up to 7-8 kgs maximum. Please do carry enough cash with you as once you exit Leh there will be no ATM available.